Just a little note from Sicily as I was determined to have a holiday – visit friends, eat and drink without analyzing, and climb Mount Etna. But as this meal was so brilliant, and simple, it is worth a little post. It also made me think about wines on holidays in general. Why does a wine often not taste as spectacular at home as it does on holidays? There is more time to relax and appreciate wine on holidays, so wines that are not great can be loved and become great, for the memory as much as the wine. After a few thin house wines in Sicily that could be mistaken for salad dressing, I was thrilled to find the excellent wine from Mount Etna, Passopiciaro White 2010 by Andrea Franchetti, in the least expected place. I knew this was a great wine but it became even greater with the local seafood. 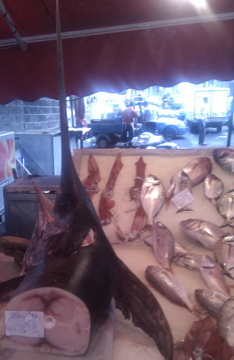 At a small place called Antica Marina in the fish markets in Catania, the fish was so fresh I could see the huge swordfish cut in half outside on the table in the market. With a perfect frame of old oak and a saline/savoury character, and the restaurant immersed in the smell of the fishy sea water being hosed down in the market, the whole meal was lifted by the wine, and us, buoyant and floating as if way out at sea. Getting away from it all. 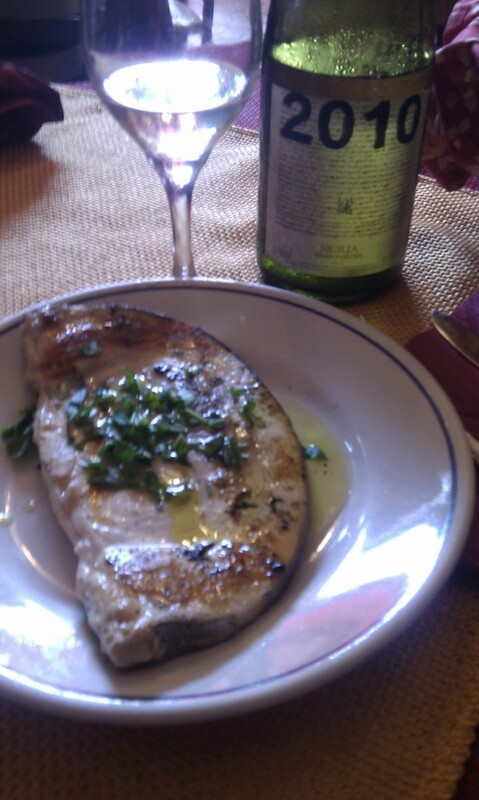 One of those simple meals of super fresh food and good wine, the holiday began at this moment. The genius Andrea Franchetti has created a truly local Etna wine that also tastes excellent at home. This is one of those rare wines that taste as spectacular at home as on holidays. No need to smuggle it back in your suitcase – it is available in London. 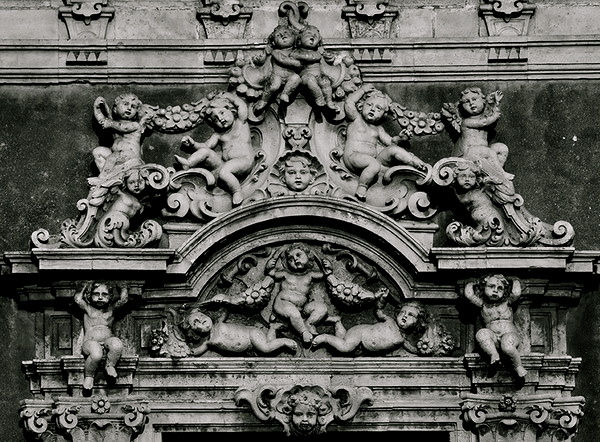 Although I hope to be back in Sicily again soon.